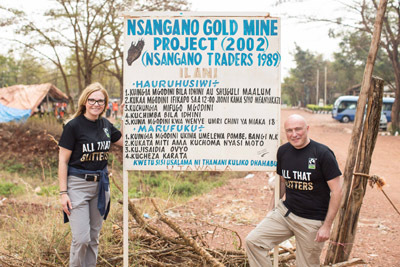 Josephine Aguti to meet the team at leading Birmingham jewellery business Hockley Mint, which is championing the use of Fairtrade gold in the UK. 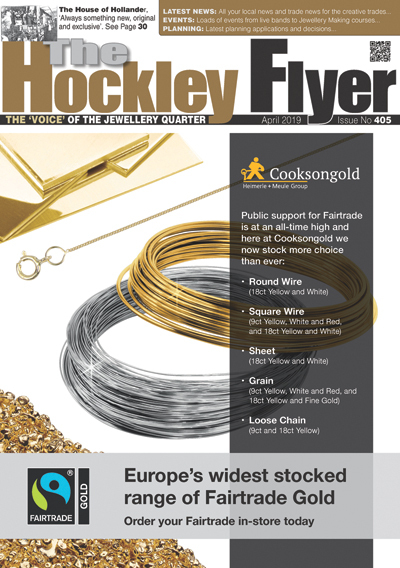 A Ugandan Fairtrade gold miner is set to visit Birmingham Jewellery Quarter manufactory Hockley Mint as part of a UK visit to meet the businesses supporting gold miners and their families in East Africa. Josephine Aguti, a miner at Uganda’s first Fairtrade gold mine, will visit the UK to be part of a press conference and showcase centred on Fairtrade Gold jewellery on October 15th in London, before travelling to Hockley Mint in Birmingham on October 16th. Working as part of a team of women and men at one of the first artisanal mines to be certified Fairtrade in September 2015, Josephine will see where the gold they mine is transformed from raw product to wedding rings and bridal jewellery for the UK market. She will take a tour of Hockley Mint’s manufactory in the Quarter where she will meet staff members and see the various stages of jewellery manufacture. There will also be time for Josephine to tell employees at Hockley Mint about her own work and life, and the role Fairtrade has played in improving the health and safety, education and livelihoods of East African miners and their families. Speaking of Josephine’s visit, Hockley Mint managing director Gary Wroe said: “Myself and the team at Hockley Mint are looking forward to Josephine’s visit, along with representatives of Fairtrade Africa and Fairtrade UK. This summer, I had the opportunity of visiting a Tanzanian gold mine very similar to that where Josephine works, and it was truly fascinating to see how gold is mined in a small, artisanal way.